Are you wondering how to speed up reaction time? Do you know the importance of keeping your response time sharp, but do not see how you can improve it? Let us first talk about what reaction time is. When playing sports if you are not quick, you might not be able to catch the ball. When you are driving, and someone slows down in front of you the delay may result in an accident. If this is you, continue reading to see how you can increase your quickness. Our reactions are measured by how quickly we respond to a stimulus such as a ball or a vehicle stopping. The standard reply is 0.25 second to a visual stimulus and if you notice that you lack in quickness there are drills that you can do at the gym or at home that can help you improve your time and reflexes. Choose an activity from the above and complete them a few times a week. Moreover, the exercises make the participants focus on the signals to complete the drill. The training can involve control of an object (medicine ball) or specific commands (voice) or sounds (whistle). The above exercises can speed up reaction time to a stimulus. Speed Drills, warming up before a workout, and even gaming can help you get faster reaction time. 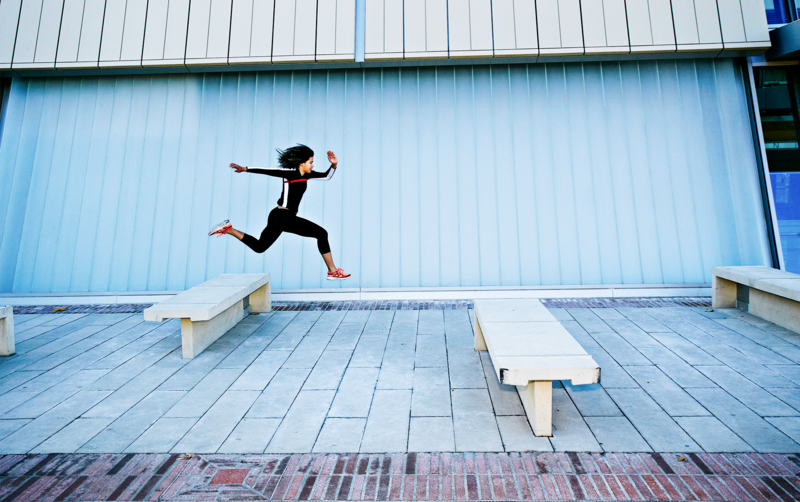 Warm-ups, such as jumping jacks, help you coordinate your body how to respond better. Gaming may make you quicker because your brain is less likely to second guess the process when it comes to faster decisions. Some games can be downloaded onto your phone and help you with reaction time. In every age group, males have quicker reaction times than females. Some studies show that women may not be as fast as males but are often more accurate. Response time slows down when participants are tired because the body cannot think as clearly when it needs sleep. A Stanford study said those who are sleep deprived reacted as slow as someone that had consumed too much alcohol. A decrease in reaction happens when certain distractions such as texting and driving impair the driver to react quickly if, say, a car pulls out in front of them. As we age, our reaction time will slow down. Quick decision making is not as easy for older adults, as well as it takes them more time to process decisions as promptly. Too much stress can crowd the mind, narrow your focus, and lower concentration. A Reflex is an involuntary action that protects the body, and it uses the spinal cord and nerves to send signals. A reaction is voluntary and controlled by the nervous system and the brain. Reflexes can improve and boost your response time when practicing certain sports that have an object such as a ball that you can control. As we age, we are less likely to practice reaction time through sports, activity, and games. Response time keeps us sharp and injury free. The best way to learn more about your reaction time is to consult with your doctor. A physician can help you to find suitable options to get you back on track in no time.